PlayerUnknown's Battlegrounds or PUBG will hold a PUBG Mobile tournament called 'PUBG Mobile India Series 2019' with a total prize pool of Rs 1 crore for the Indian gamers. Earlier, Tencent and PUBG Corp had held a similar competition targeting the college students called, 'PUBG Mobile Campus Championship'. The competition is open to all Indians and has been dubbed as India's biggest official PUBG MOBILE tournament. 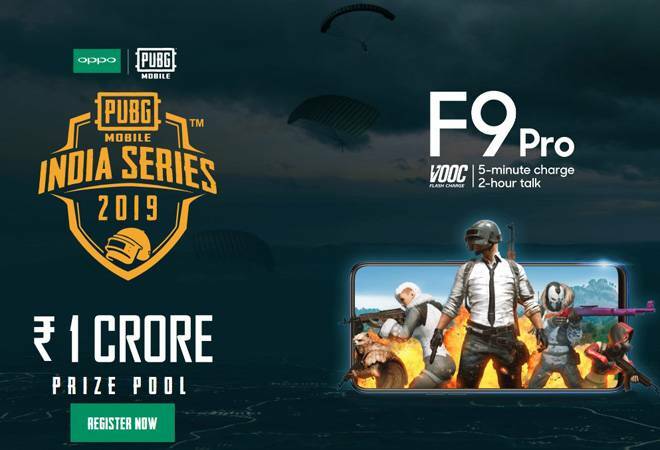 How to register for 'PUBG Mobile India Series 2019'? The registration process is isn't complicated. You will have to click on the "Register Now" button on the PUBG Mobile's India website and complete the registration form. Once you complete the registration form, you will be required to verify your email to activate your account. The registrations have already begun and will close on January 23. Post the registration, in-game qualifiers will take place from January 21 to January 27 where all the registered players need to play 15 classic rounds with their squad members in Erangel. This would be followed by the online play-offs from February 10 to February 24 and it will be played across 3 rounds. The Grand Finals will be held on March 10 where top 20 teams from Online Play-Offs will fight to the finish. The winner of the competition will get Rs 30,00,000 as the prize money. The runner up will take home Rs 10,00,000 and the 3rd prize winner will get Rs 5,00,000. All in all, the first ten teams earn cash prizes with the person at the 10th place winning Rs 50,000. Earlier in the month it was reported that PUBG is planning a new update that will bring a new zombie mode to its players in India. PUBG Mobile will be releasing the new mode in partnership with the Resident Evil franchise.